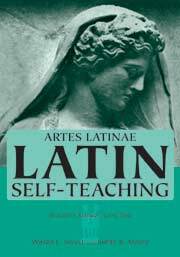 Level Two Teacher's Manual is part of the Artes Latinae series, which is a programmed, self-teaching Latin course structured to accommodate multiple levels of students, each learning at his or her own pace. The teacher's manual provides instructional information for teachers and answers to the exercises in the student textbooks. This TM is intended to be used with the traditional version, but users of the DVD version also may want to have a copy in order to learn more about the philosophy of Artes Latinae, to have a summary of all the basic sentences to have a glossary with all the vocabulary in the units, and to have a master chart of vocabulary by unit. In addition the TM has some good teaching tips.